ACE Lab is once again pleased to be a gold sponsor of the Techno Security & Digital Forensics Conference in Myrtle Beach, SC, USA. This time, the event will be held again at the Marriott Resort at Grande Dunes on June 2-5, 2019. Techno Security & Digital Forensics Conference is one of the most important resources in the USA for everyone who wants to know the latest innovations in digital forensics. Federal, state and local law enforcement digital forensics specialists from around the world are welcomed to visit our Booth #513 and attend the ACE Lab session “Making Complex Issues Simple: A Unique Method to Extract Data from RAID with Lost Configuration” on June 02, 2019 at 1:00 pm. BE THE FIRST IN THE US to see in action new ACE Lab products for forensic data recovery: PC-3000 Portable III and PC-3000 Mobile. More forensic features to extract evidence from damaged HDDs and Mobile Devices will be waiting for you at Booth #513! The road to perfection is a long one indeed. Since the first PC-3000 was launched in 1994 our team of engineers, developers and mathematicians had been constantly bringing innovations and enhancing data recovery solutions. To celebrate this important date we’ve decided to run a little quest for our customers. 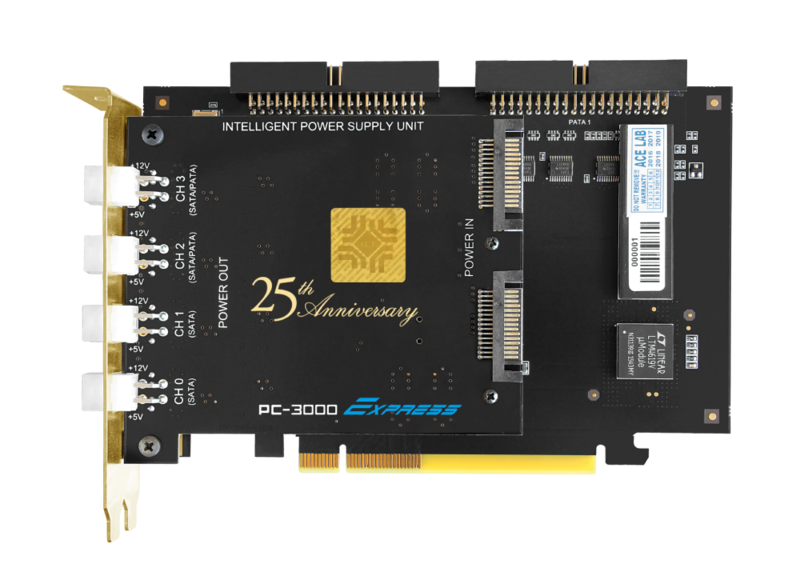 The rules of our special PC-3000 Anniversary Challenge are pretty simple: complete a set of given tasks to earn a 25% discount for the PC-3000 Express Limited Edition System with a unique engraving. The number of winners is limited to the first 25 users who successfully complete all the tasks. Hurry up to claim your award! Visit our website to see how the PC-3000 Technology has changed the world of data recovery! The end of April is an important time for us all — in 1994 the first PC-3000 which was at the origins of the modern data recovery industry was launched. The 2019 conference is not just a great chance to learn new things about data recovery and network with peers, it’s also an invitation to join the community to commemorate the 25 year anniversary of PC-3000! The ever-growing demand for storage capacities is often met by adding new hard drive arrays and systems to the already functioning RAID arrays. This approach, while cutting the upgrade costs, often results in the formation of arrays made up of different storage media devices: SATA and SAS/SCSI HDDs. Thus, the question arises: how to recover data and evidence from these hybrid systems in case of damage? To work with such RAID arrays, we have developed a powerful solution which is able to help you in the most efficient way. A new PC-3000 SAS 6 Gbit/s System paired with PC-3000 Express RAID System or PC-3000 SAS 6 Gbit/s RAID System paired with PC-3000 Express System will turn your tools into the PC-3000 Hybrid System. Recover data and evidence from hybrid RAID arrays which consist of different hard drive types: SATA and SATA/SCSI. Operate with big RAID arrays which contain up to 8 HDDs (4 SATA drives are connected to the PC-3000 Express board and 4 more drives — to the PC-3000 SAS board). Thus, if you have such RAID array, you will be able to connect all the drives to the PC-3000 ports and be sure that the data will not be changed during the data recovery process. Connect any number of devices to available ports. 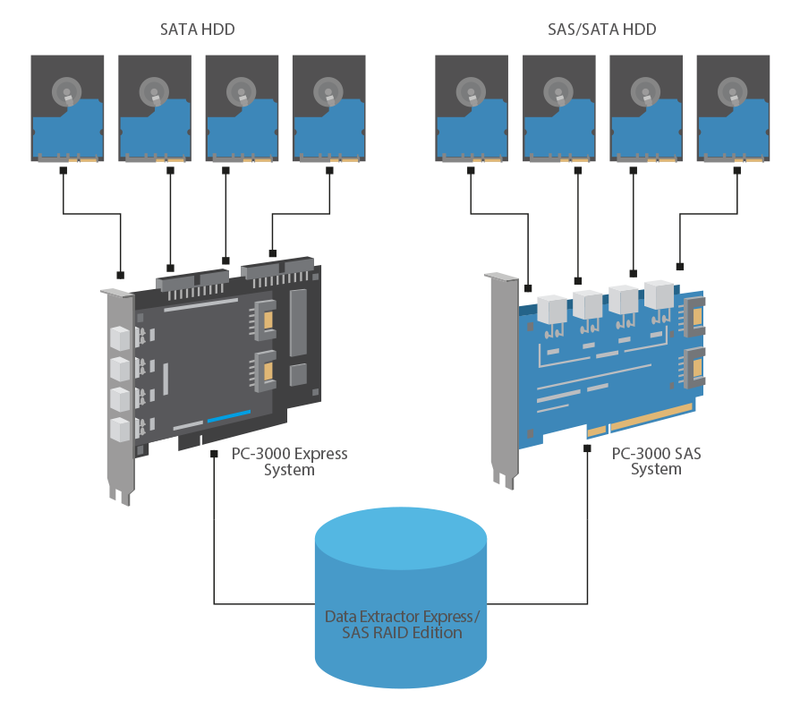 High-speed PC-3000 SAS 6 Gbit/s allows to connect SATA and SAS HDDs and work with them at the highest possible speed, both for reading and writing data (for example, when creating a copy). If you have any questions regarding this system, do not hesitate to send an email to info@acelaboratory.com or to your personal sales representative. We are excited to announce our upcoming event – the 2019 ACE Lab Technology Conference on Data Recovery & Digital Forensics. As always, it is going to be full of our latest developments and innovations, practical advice and guidelines, valuable tips and tricks to use in your labs straight after the event. By attending the conference, you will be able to get the answers to your technical questions and learn new things about data recovery methods to help you in your daily job. It’s a great place to exchange ideas and to meet colleagues from many countries worldwide. Underground station: Pankrác, "Red" line - "C"
More information about the conference program and registration details will be announced shortly. Mark your calendar now and keep your eyes out for more information on our website.